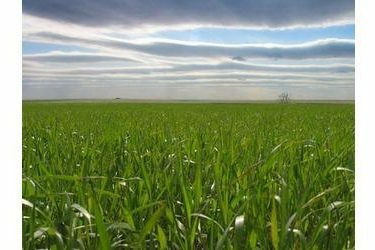 The condition of the emerging winter wheat crop in Kansas is mostly good but rain would be welcomed to help the crop. That is the latest assessment Monday from the National Agricultural Statistics Service. The agency reported that 12 percent of the wheat is in poor to very poor condition. About 32 percent is rated as fair with 51 percent in good and 5 percent in excellent shape. About 90 percent of the crop has now emerged. Harvest is wrapping up for the state’s other fall crops. Corn harvest is 96 percent complete and soybean harvest is 94 percent finished. About 86 percent of the sorghum has also been cut, along with 83 percent of the sunflowers.